Changes in weather often bring individuals to the doctor due to asthma symptoms. Sometimes a sudden change in weather patterns will be enough to bring on an asthma attack in some people. In the wintertime, when the air is cold and dry, asthmatics often suffer as bad as in the months when the trees, grass and other vegetation are pollinating. It is possible for asthmatics to have asthma symptoms for the whole year round, depending on the weather conditions. The summertime is bad for asthma sufferers, because the hot, humid air is perfect for mold spores to populate the environment inside and outside the home. The warm moist air, itself, can also be an asthma trigger for some people. In the rural areas, the sunlight and heat, combined with carbon emissions can be enough to cause an asthma attack. Much has been done to slow down the carbon emissions from automobiles and factories, but the fact remains there are more pollutants in the urban environment due to heavy traffic and industry. It has been known for centuries that the weather could influence wellness. Studies have shown that barometric pressure can influence health and wellness. Just as the barometric pressure can make your joints hurt, if you have arthritis, it can also cause you to have asthma symptoms. It seems that some people have asthma attacks during a thunderstorm. Before it starts raining in a storm, the wind usually blows very hard. The wind carries spores, pollen, and other pollutants with it; thus, those people susceptible to having asthma symptoms are affected. If you believe that weather plays a role in your asthma symptoms, you can find out for sure by keeping a diary of when you get your symptoms. On days that you have an exacerbation of asthma symptoms, write down the date, and what the weather was like. Write down if it was storming or the sun was shining. Write down what the barometric pressure was for that day, and what the pollen count was. If you see a pattern, that your asthma symptoms are worse when the pollen levels are the highest, you can plan on limiting your time outside on those days. In the wintertime, you can get asthma symptoms from being outside in the dry cold air. If it is cold outside, you should wear a scarf around your nose and mouth, so that you don’t shock your respiratory tract with cold air. When you are outside in the cold, try not to mouth breath, because your nasal passageways are designed to warm the air before it gets to your lungs. If you mouth breathe out in the cold, the cold air can trigger an asthma attack. 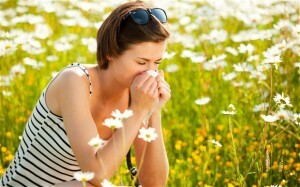 If you are an asthmatic that is triggered by pollen, you should avoid the times of day when the pollen is the highest. You should also consider not doing yard work or mowing the lawn, because pollen, dust, and debris can be breathed into the respiratory tract and trigger an asthma attack. The environment inside your home should not be allowed to be too hot or too cold. In the summertime, when it is hot, you should use an air conditioner to keep the house cool. In the winter, the house shouldn’t be allowed to get too warm, because warmth causes an increase of mold spores in the air. It is important to keep your doors and windows shut on days when the levels of pollen and other pollutants are elevated in the outside environment. The home environment should be kept as clean as possible also. You can clean the impurities out of the air by using an air purifier with a HEPA filter. A HEPA filter is ideal for cleaning the air in your home because it kills bacteria, dust mites and traps impurities up to 0.3 microns in size. You should also have a vacuum cleaner that has a HEPA filter on it also. If you don’t have a HEPA filter on your vacuum cleaner, you can purchase one to put on your vacuum cleaner to help keep the air clean when you vacuum. Aside from avoiding the triggers that cause asthma in any weather condition, you should take your asthma medicine as prescribed by your physician. If you have a rescue inhaler, you should have that with you at all times also. You cannot avoid every asthma trigger, but you can improve your quality of life by avoiding as many triggers as you can.